Ever since I was younger, something I tend to naturally do is attempt to apply lyrics to any song that lacks them. Before I joined the writing team here at Zelda Dungeon, I used to do that on occasion as a fun little pastime by writing lyrics to some video game music that I like. With that in mind, I thought that some of you might be interested to see lyrics to some of the music from The Legend of Zelda series. We might even make this an ongoing series if you want it to be! When I write lyrics to video game music, I tend to write the lyrics as if the music itself is singing. What I mean by that is that in my style, the main music of each track and the lyrics that I write for that track line up in such a way that each track can be sung in time to the music. As I have previously written lyrics to many different video game tracks, I already have multiple lyric sets for many different Zelda games; however, the one I’ve decided to share with you is not only for an already popular track, but also one of the lyric sets that I am most pleased with. I’d like to present to you: the Song of Storms! I intended the first four verses to be sung by the man in the windmill (if he was more calm and sane than he actually appears in Ocarina of Time), and the last two sung by Link himself. You may notice in the last verse that a few lines are repeated or rewritten similarly to how a few of the previous lines were written, which is a purposeful to both tie the end of song to the beginning, as well as to reference the paradox of how Link goes back in time to teach the man in the windmill the Song of Storms after learning it from that same man. Now that you’ve seen this concept, it’s time for the important question that must be asked: Would you like to see the Lyrics of Legend become an on-going series here on Zelda Dungeon? 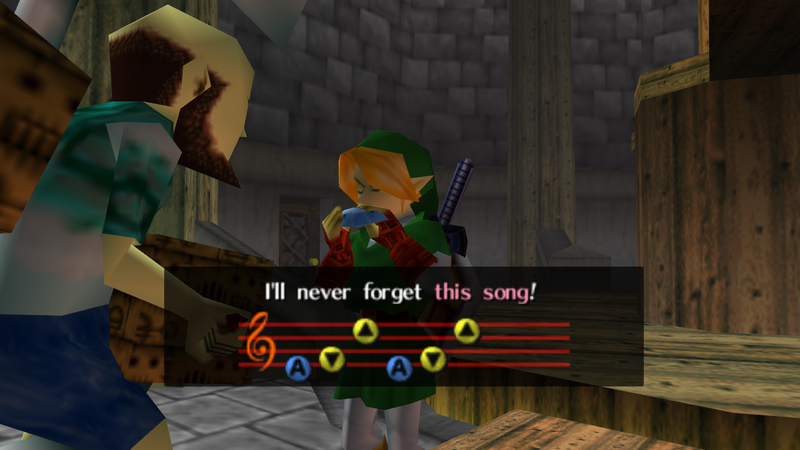 Would you like to see the Lyrics of Legend become a series on Zelda Dungeon? Yes! This is an interesting concept that I'd like to see more of. No, I don't like this idea very much. If you’d like to sing these lyrics, please share a video or audio of you singing them with us, and we’ll share it on our social media. I hope you enjoyed these lyrics!